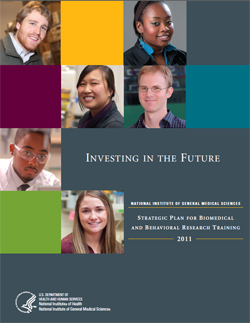 Roughly two-thirds of the biomedical technology research and development programs formerly in the National Center for Research Resources are now part of NIGMS. Housed in the Biomedical Technology Branch of our Division of Biomedical Technology, Bioinformatics, and Computational Biology, the programs meet the needs of biomedical researchers by supporting cutting-edge research and development activities through a variety of award mechanisms. In this post, I will focus on the Biomedical Technology Research Centers (BTRC) program, which supports the development and advancement of technologies needed to address today’s compelling biomedical research questions. Adapt BTRC tools to further the specific aims of their projects. Contribute to the generation of pioneering technologies that can open up new research paths. The introduction of the computer into the laboratory setting. The evolution of magnetic spin resonance from an observed scientific phenomenon to an analytical research tool to a clinical imaging technique. The development of technologies for harnessing synchrotron radiation for biomedical research. The creation of informatics approaches that allow for secure access to and sharing of huge volumes of dissimilar data. At the half-century mark, the BTRC program remains vital and responsive to the scientific community. Ongoing centers continue to evolve and create innovative technologies, while new centers form as needs emerge. As Judith Greenberg reported earlier this year, NIH has moved the Institutional Development Award (IDeA) program to NIGMS from the now-dissolved National Center for Research Resources. For those who may not be familiar with this program, here’s an overview. Established by Congressional mandate in 1993, the IDeA program’s goal is to broaden the geographic distribution of NIH funding. It supports faculty development and institutional research infrastructure enhancement in states that have historically received low levels of support from NIH. 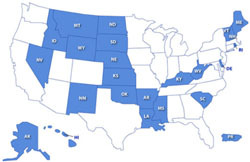 In addition to enhancing the competitiveness of investigators and the research capacities of institutions in these 23 states plus Puerto Rico, the program serves their unique populations, such as rural and medically underserved communities. Centers of Biomedical Research Excellence (COBRE), thematic, multidisciplinary research centers that develop faculty and institutional research capabilities. IDeA Networks of Biomedical Research Excellence (INBRE), statewide systems of institutions that expand research capabilities and increase access to biomedical resources. The IDeA program currently supports 87 COBREs and 24 INBREs. An example of how the IDeA program has built competitive research capacity is the Rhode Island INBRE . Over the past 10 years of support, Rhode Island IDeA investigators have received 21 R- and K-series awards from NIH and 28 awards from NSF and other funding agencies. Similarly, investigators at the Center for Evolutionary and Theoretical Immunology , a COBRE based at the University of New Mexico that has been supported for 8 years, submitted 20 grant applications to federal and non-federal agencies in the past year, 10 of which were funded. You may have seen the announcement from the Office of Science and Technology Policy on the new National Big Data Research and Development Initiative . We hope you did! This initiative is the result of a year-long, interagency effort to identify challenges and goals in extracting the most information and value from massive data sets. As co-chair of the initiative’s senior steering committee, I’m particularly excited about the potential of this collaboration to speed biomedical discoveries and innovations as well as to create educational and infrastructure resources. These are all areas that will benefit from the initiative’s first funding opportunity: Core Techniques and Technologies for Advancing Big Data Science & Engineering (BIGDATA) . This solicitation, issued jointly by the National Science Foundation and NIH, aims to accelerate improvements in scientific and technological approaches for managing, analyzing, visualizing and extracting useful information from large, diverse, distributed and heterogeneous data sets. Specifically, it will support the development and evaluation of technologies, tools and practices for data collection and management, data analytics and/or e-science collaborations. BIGDATA will be administered by NSF, with NIH participating as a partner in the review process and selection of applications. Note that there are two different project options, each with different application deadlines: “Mid-scale” proposals of up to $1 million total costs per year for 5 years are due June 13, 2012; and “small-project” proposals of up to $250,000 total costs per year for up to 3 years are due July 11, 2012. If you have an idea that may fit within the goals of this program, please see the frequently asked questions and/or contact one of the program officers listed in the solicitation. You might also consider attending a webinar at 11 a.m. EDT on May 8 that NSF and NIH are hosting to help potential applicants better understand the scope of the solicitation. You can register and submit questions in advance. The broader initiative will ultimately include several other interagency programs to complement the core techniques and technologies solicitation, touching on domain-specific science challenges, workforce development and community challenges. So stay tuned for more funding opportunities in this arena!